From the Sky Bar to the Waterfront Deck, Eve's Waterfront is destined to stun your Guests with full ocean views and delicious food. 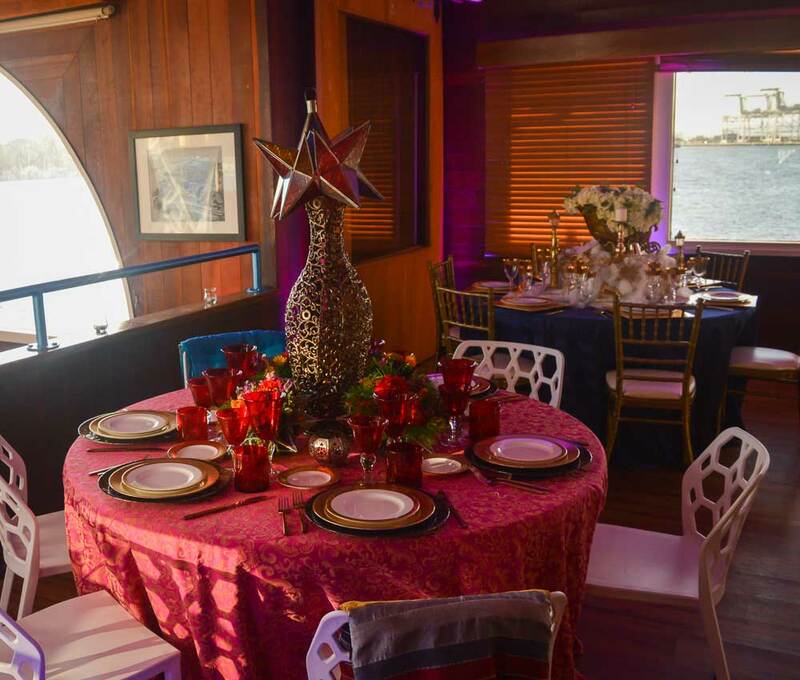 For the VIP, the Admiral's Lounge is an absolute must. Take in the party from above, and experience a uniquely secluded lounge for up to 42 seated. Port is the perfect space for the casual corporate mixer after work. Direct access to the bar and panoramic views make Port the perfect place for social gatherings of up to 60 standing. Unparalleled ocean views make Ocean Bar truly unique. This spacious atmosphere can accommodate up to 30 seated and up to 4 bartenders to quickly serve hundreds of guests. 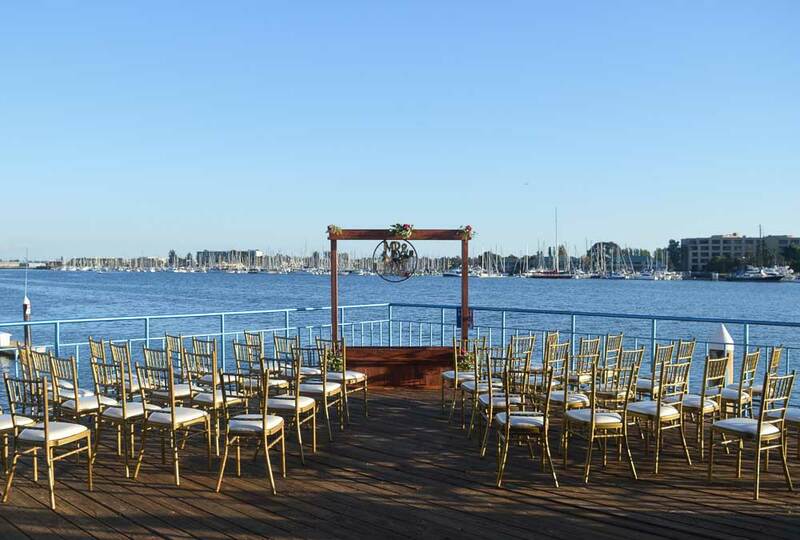 Perfect for a wedding ceremony, the Waterfront Deck comfortably seats 60 for outdoor dining and accommodates up to 150 for a ceremony. A seat at the Captain's Table is arguably the best in the house. Multiple walls of windows perfectly showcase the sunset, and the space makes for an intimate hors d'oeuvres reception. Upstairs at Eve's Waterfront, the Sky Bar has a bird's eye view of the entire venue for up to 40. Perfect for a bachelor party hide-away, complete with your own personal bar. 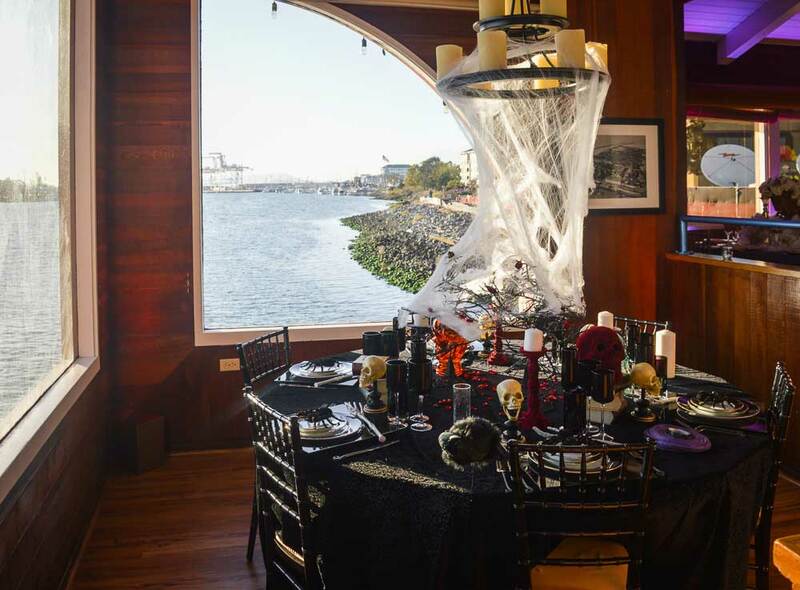 Make your event special at eve's and inquire today!